Smooth and Flawless Application- Made of artist-grade Taklon sysnthetic fiber that amazingly distributes product efficiently . 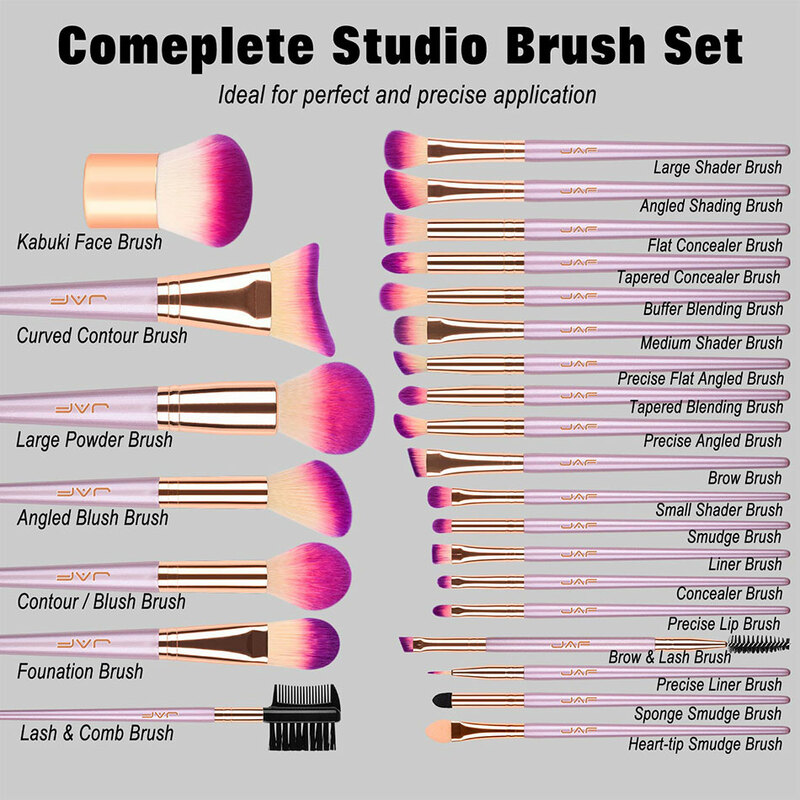 Complete Studio Brush Set - JAF'S Densely packed taklon bristles allow for a deeper and more defined application. Not too long nor too short handles makes perfectly sized for easy travel. Durable & Consistent - NO shedding, NO breaking, NO smell. Hypoallergenic : Taklon Bristle does not absorb nor "eating your makeup" .Suitble for all skin types, including those with skin sensitivities. 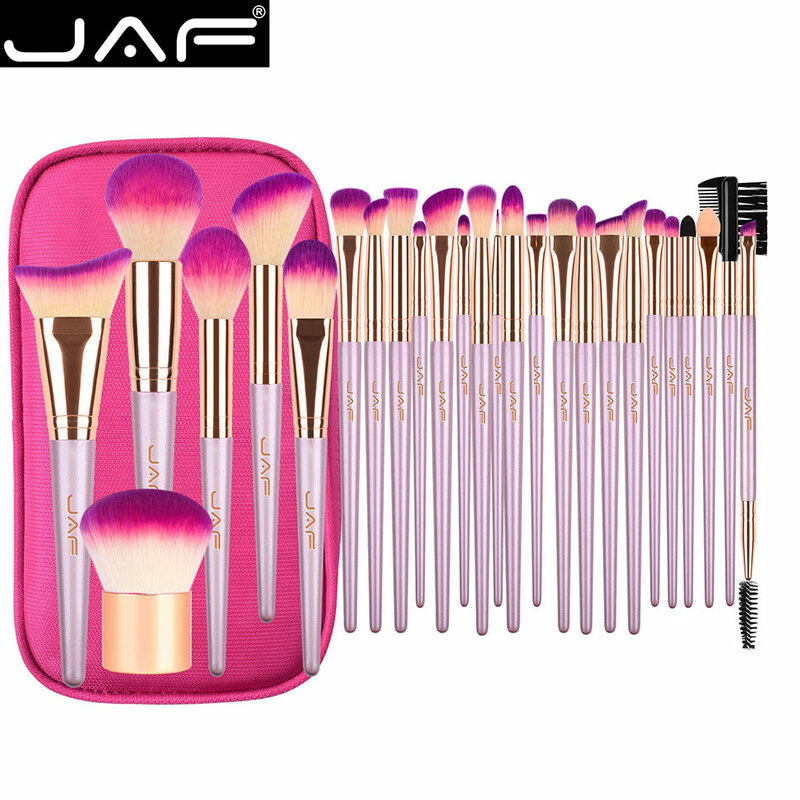 A gift ideal - A stylish and funcational gift ideal for your wife, girlfriends, or for makeup aritst.